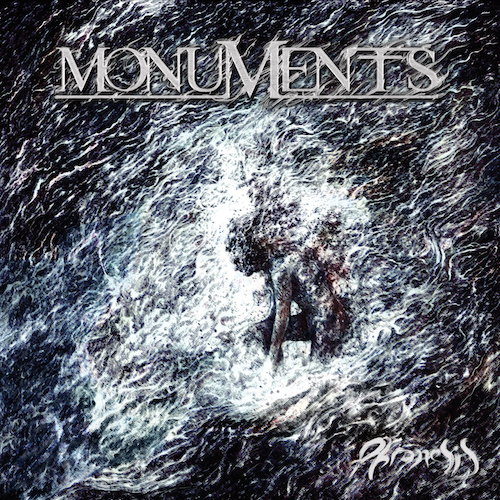 Fans have been following foreshadowing news on the band’s social networks and the band is excited to announce that MONUMENTS long-awaited third album, “Phronesis”, is scheduled for release 05 October 2018 via Century Media Records. Writing about topics that would be troubling their minds acted as a catharsis though, so “Phronesis” works as a turning point of the progressive metal band on many levels. The self-produced album was finally recorded between March and July of 2018 in various studios throughout the world: while guitars and bass were recorded by Jim Pinder (Bullet For My Valentine, Machine Head, While She Sleeps…) at Treehouse Studios in Derbyshire, UK the drums were played, recorded, tracked and engineered by Anup Sastry (ex-Skyharbor). Chris Barretto recorded his vocals with Cristian Machado (Ill Niňo, Leeway) at Soundwars Studios, NJ, USA, then everything was mixed and mastered by Joel Wanasek at JTW Music, Milwaukee, WI, USA. “Phronesis” is available as Standard CD Jewelcase, Gatefold LP+CD and Digital Album. Don’t miss seeing MONUMENTS at Euroblast Festival in Cologne, which will be the first show where the band play band new songs from “Phronesis”!